Sometimes it’s obvious when a roof needs to be replaced – hail damage, missing shingles or leaks are all clear signs of wear. However, sometimes your roof nears the end of its life cycle without any telltale signs of wear. Find out the lifespan of your specific roof type to know when you should start thinking about replacement. Asphalt Shingles last 10-20 years and are the most widely used roofing material in the United States. A three-tab shingle is the least costly asphalt shingle type and is a smart choice for slopped roofs. You can upgrade to premium shingles (which are more expensive than typical asphalt shingles) and they will last for about 20-30 years total. Architectural Asphalt lasts for about 15-25 years and are more durable, thicker, and last longer than general asphalt shingles. Wood Shingles last about 20 years and should be purchased with pressure-treated shakes for a longer lifespan and less upkeep. They can last for longer than twenty years if they are exposed to moderate weather conditions. Metal roofing lasts about 30-50 years, so you won’t have to get this type of roof replaced that often. Metal roofs are great for having if you live in the forest areas, especially since they metal helps with preventing the spread of forest fires. Metal roofing comes in vertical panels, tiles, or shingles. Ribbed Metal Panels are an affordable metal roofing option that can be used for a steeper gable roof type. These roof types can last from 25 to 40 years. If concealed fasteners are installed, the roof’s lifespan will increase by approximately 30-50 years. This type of roofing material is within the metal roofing group. The stone coated steel tiles are light weight, long lasting, and durable. The lifespan of this roofing type is between 30 and 50 years and can generally handle high wind gusts. Is time for your roof to be replaced? We are here to help you in the process of deciding when it’s time to install a new roof. Contact us for assistance and more information. At Chuba, our dedication to service, attention to detail and use of top-quality products ensures that we will be your trusted partner throughout the renovation process. We are currently taking projects for 2018 – contact us for an estimate! Be sure to follow us on Facebook, Pinterest and Houzz to see our quality project examples! 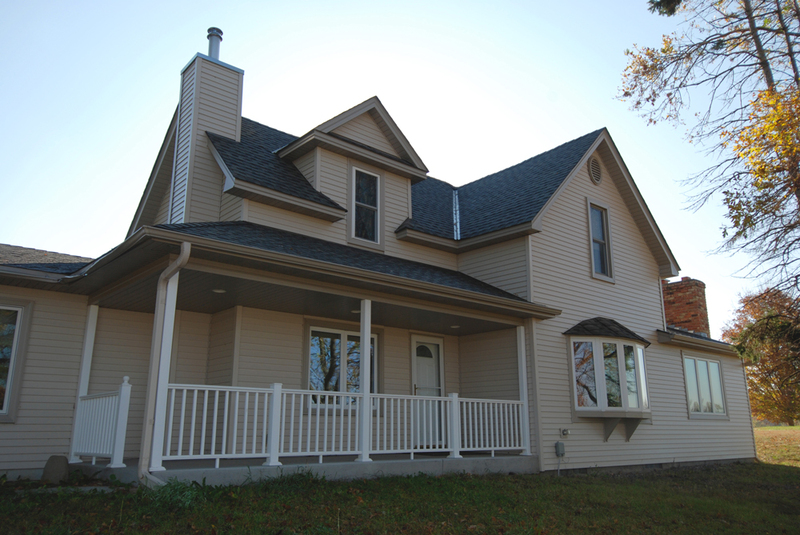 Be sure to follow us on Facebook, Pinterest and Houzz to see our quality project examples!